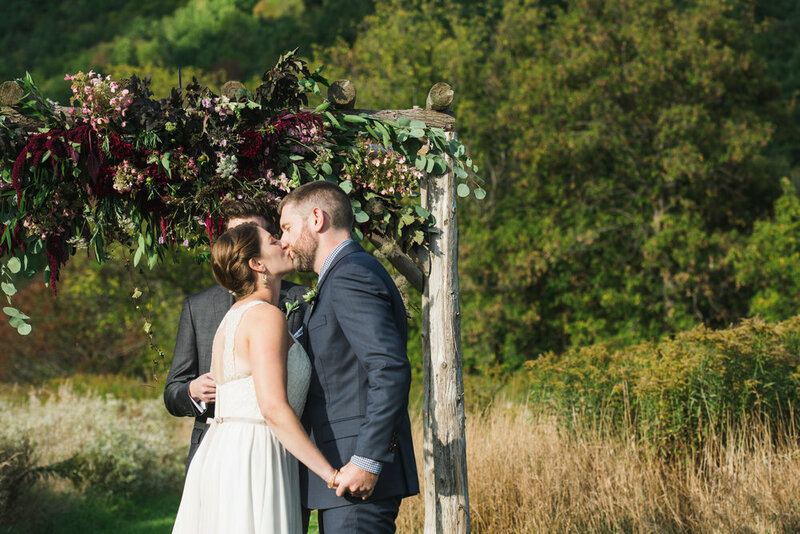 Melissa and Tyler wanted a locally focused, Vermont style wedding that felt casual, but elegant. 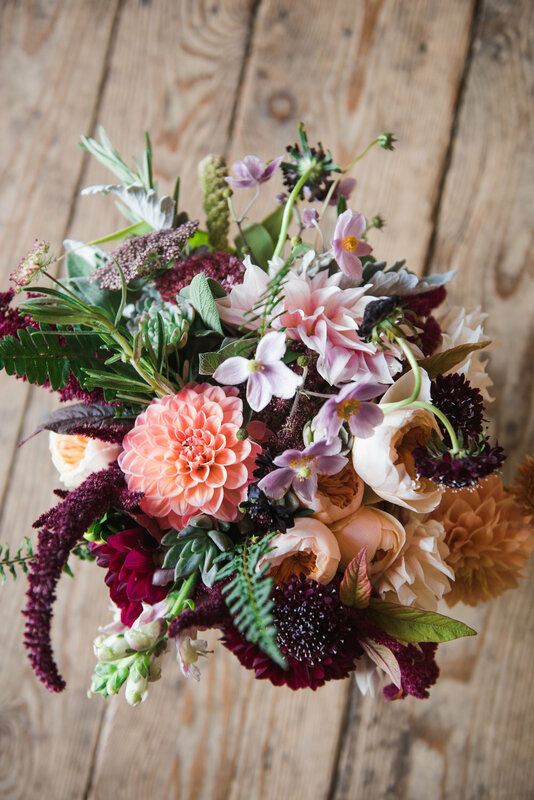 Flowers that day were in the color palette of burgundy, soft orange, peach and green. 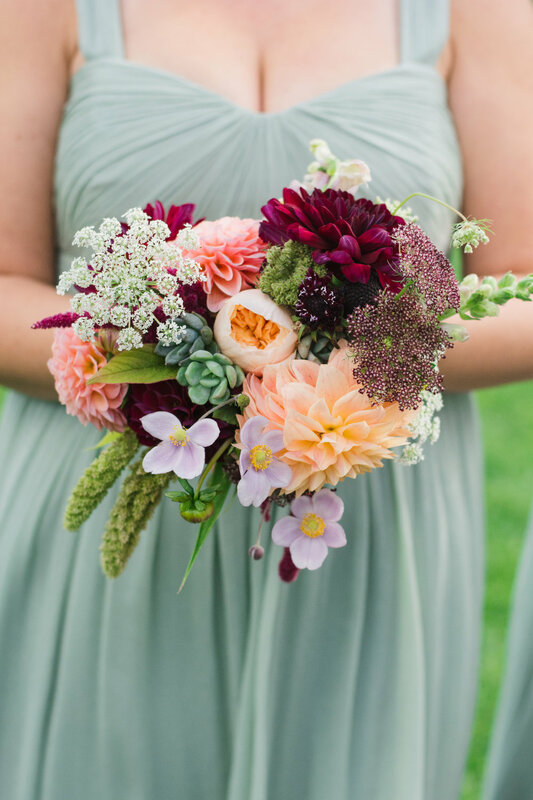 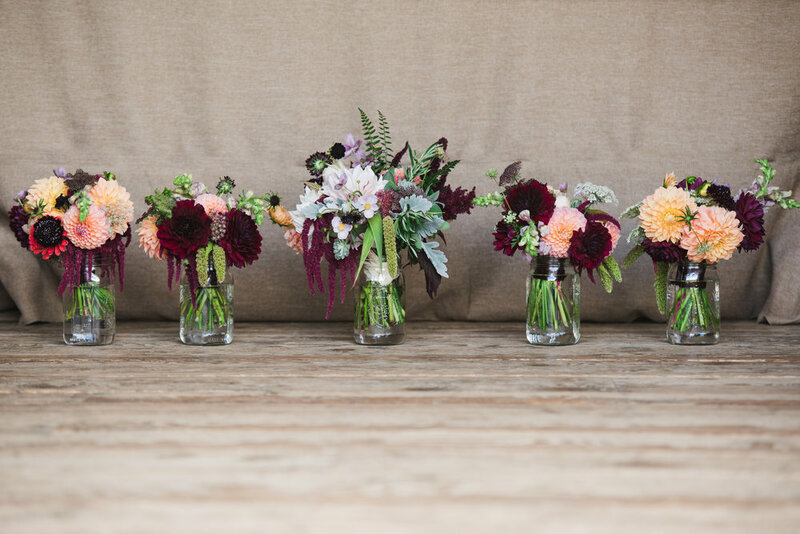 Beautiful local amaranth, zinnias, dahlias, scabiosa, fresh herbs and foraged ferns were all used along with succulents in the bouquets, boutonnieres and archway.